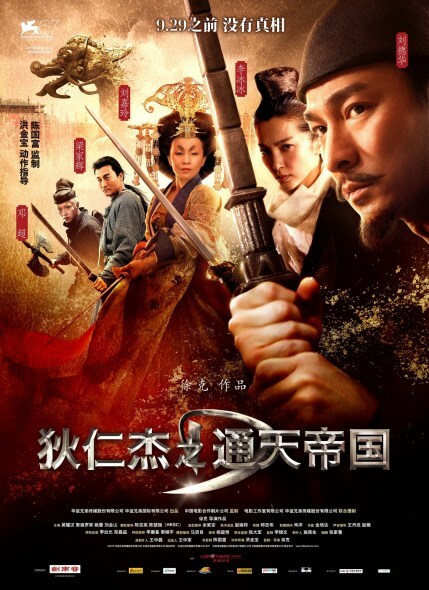 Distributed by Huayi Brothers, Tsui Hark’s Detective Dee and the Mystery of Phantom Flame opened in the cinemas on 29 September, the total box office collections on 29 and 30 September total up to $40 million, estimated to $20 million per day to become the box office champion during the National Day holidays. Detective Dee and the Mystery of Phantom Flame managed to attract 600,000 audience and collected close to $20 million box office taking on its first day. This made it come second to the box office taking of Chinese films in 2010 as its behind After Shocks first day box office takings of $36.2 million, but better Hollywood films Iron-man 2 and Inception.